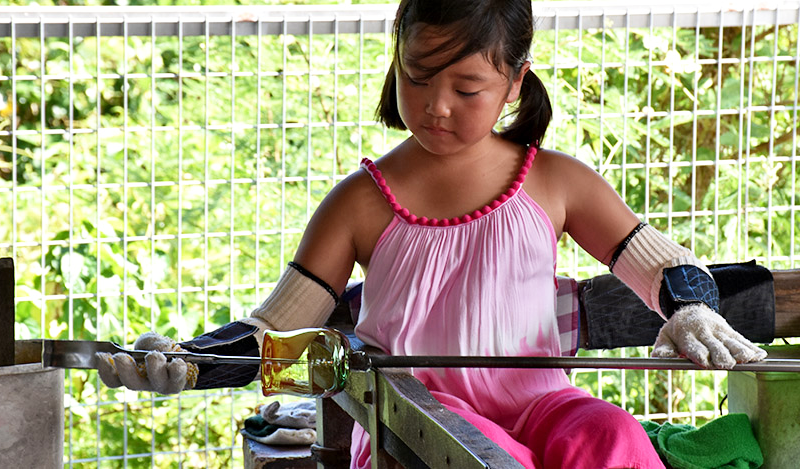 At Ryukyu glass factory, you will experience glass making that is the only one in the world. You can make glasses, plates and vases. Let's make glass items in various colors such as blue, green, purple, light blue, brown and transparent to brighten up your daily life. *Your work will be ready to pick up from the factory after the next day.